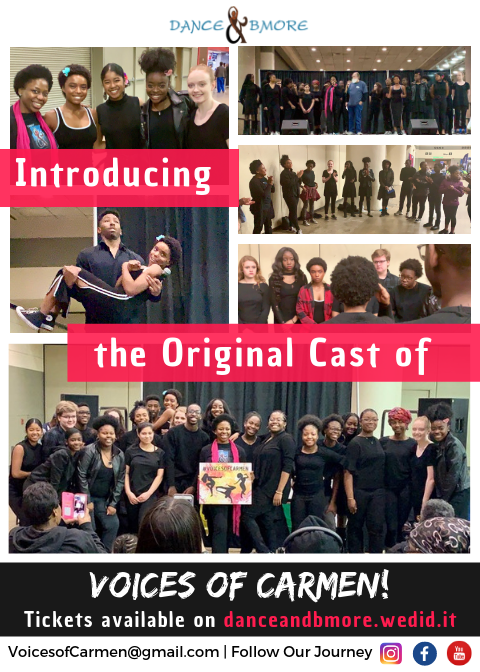 Introducing our Voices of Carmen Cast! 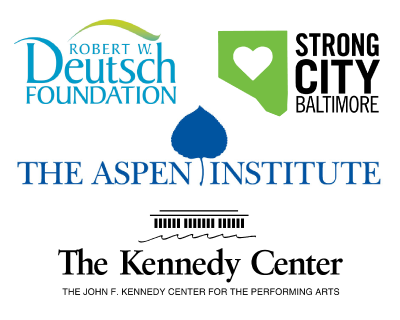 Click here to become at Sponsor! 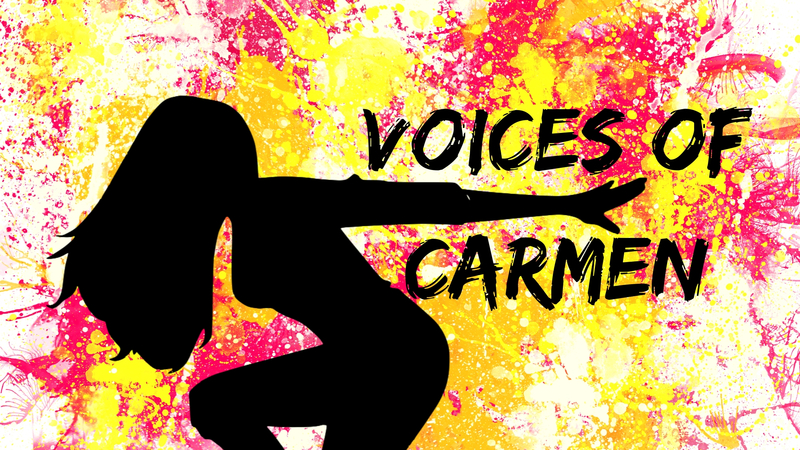 Last Voices of Carmen Open Audition! 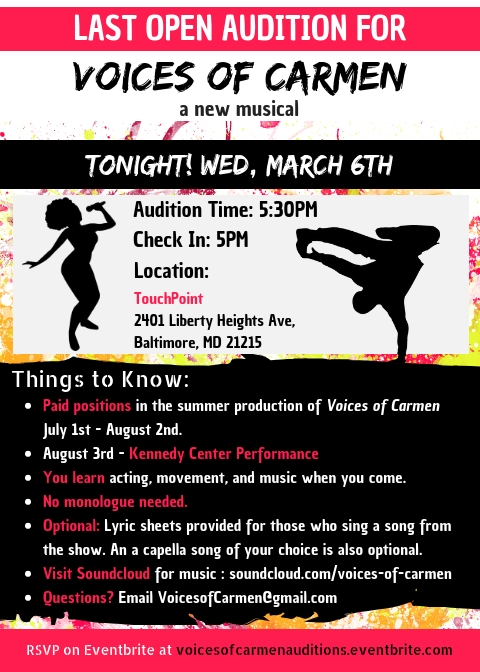 Talented singers, actors, dancers join us tonight for our final open audition for the new musical Voices of Carmen. 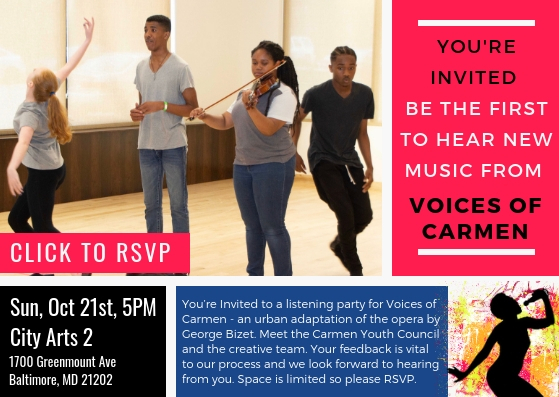 Voices of Carmen City Wide Auditions! 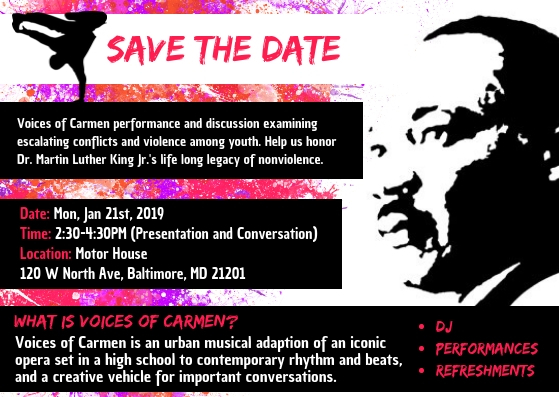 Join the Carmen Youth Council Jan 21st for a Voices of Carmen performance and discussion examining escalating conflicts and violence among youth. Help us honor Dr. Martin Luther King Jr.’s life long legacy of nonviolence. See our NEW Carmen Catalog! 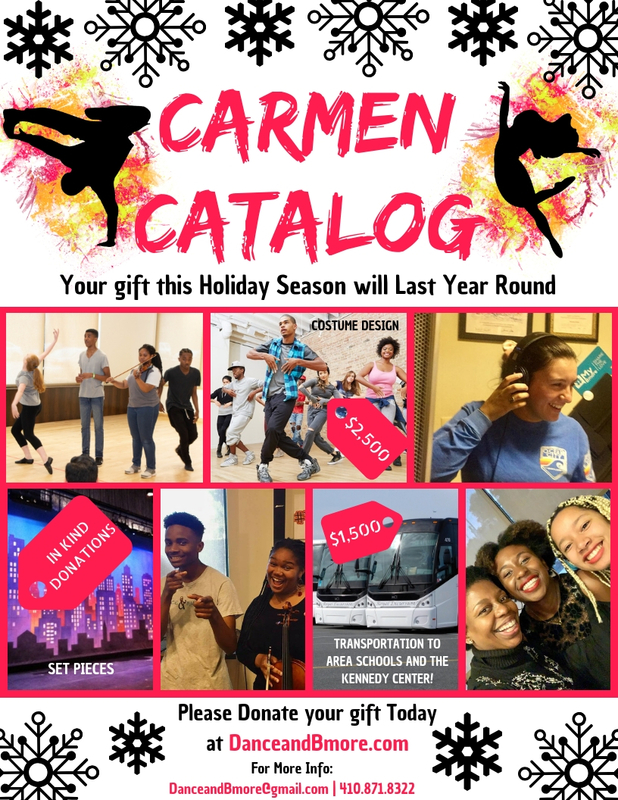 Click the link below to see our Full Carmen Catalog! 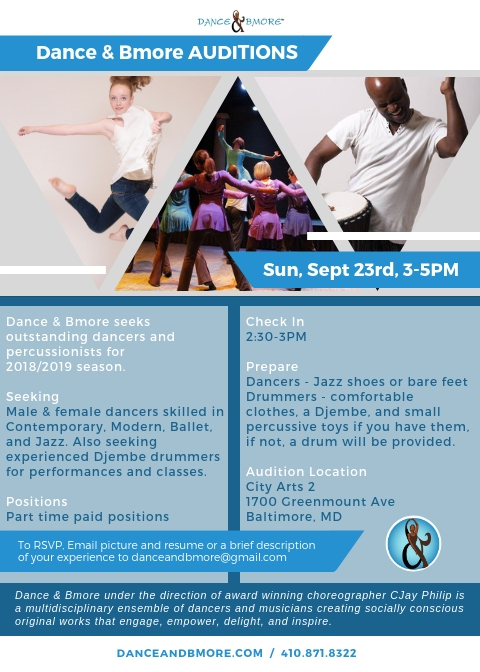 Have you heard about Dance & Bmore’s Carmen? WATCH: Click here to learn more! FazaFam Family Jam & LIVE Sept 16th! 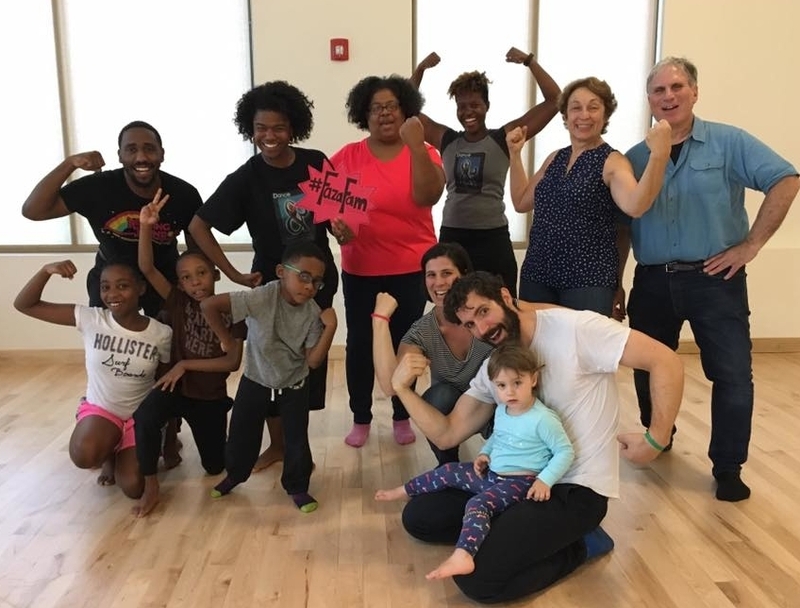 FazaFam Family Jam is BACK at City Arts 2 with more music, movement, and FUN for families! 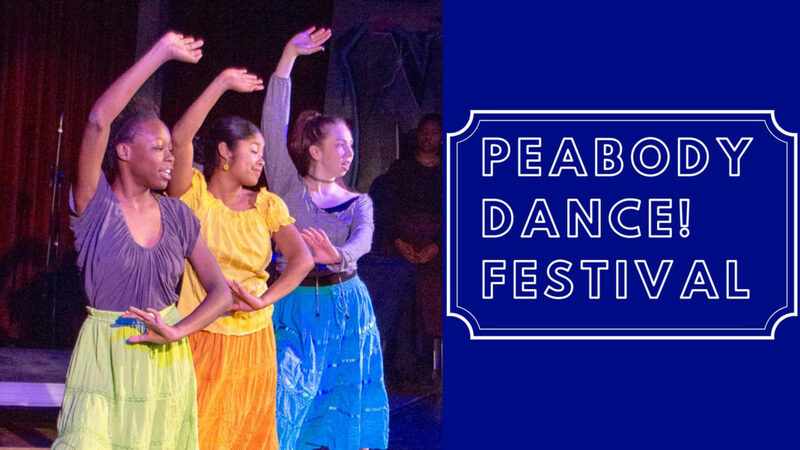 There are 2 ways to jam with FazaFam on Sun, Sept 16 for FREE!